The region of the north is in Border dispute, recognised as Indian-administered Kashmir (Occupied territory) by all nations except India. 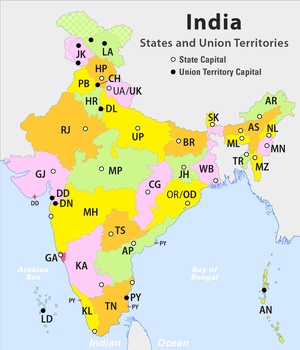 The Republic of India is divided into twenty-nine States, six union territories and the National Capital Territory. This page was last changed on 31 October 2018, at 14:29.